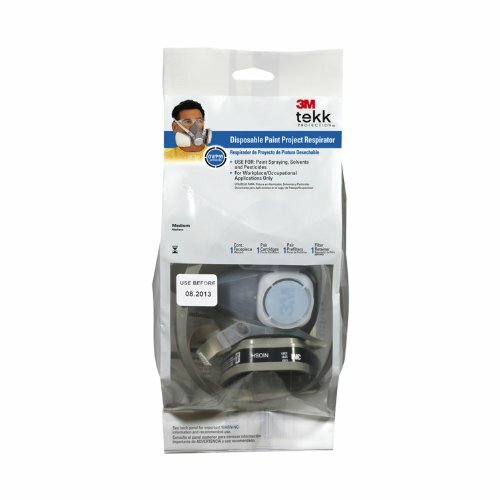 This Tack Protection disposable paint project respirator is used by professional for organic vapors and mists commonly associated with spray painting, lawn and garden pesticides, staining or refinishing decks and hardwood floors and many other applications. Featuring a balanced design for more comfort, swept back cartridges for improved visibility and organic vapor cartridges that are permanently attached. Provides at least 95-percent filter efficiency against solids and liquid aerosols as well as certain organic vapors. 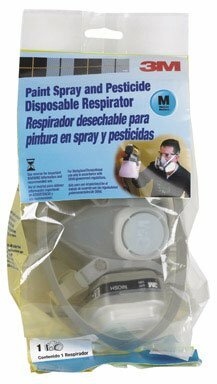 Use for certain paint spraying, solvent and pesticide based projects, offers both comfort and respiratory protection. 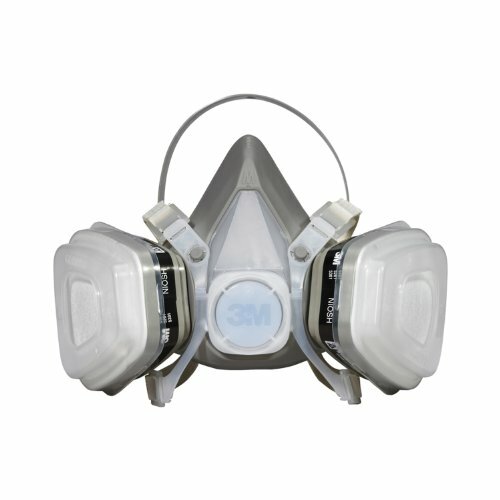 This lightweight, soft paint respirator is low profile on face for a wide field of vision. Replicable pre-filters for effective filtration, pliable face piece and disposable convenience. Kit contains 1 face piece, 1 pair 6001 cartridges, 1 pair 501 retainers and 1 pair 5P71 filters. NIOSH approved: OV/P95 for respiratory protection.